Richmond Theatre is pulling out all the stops with its pantomime this year. 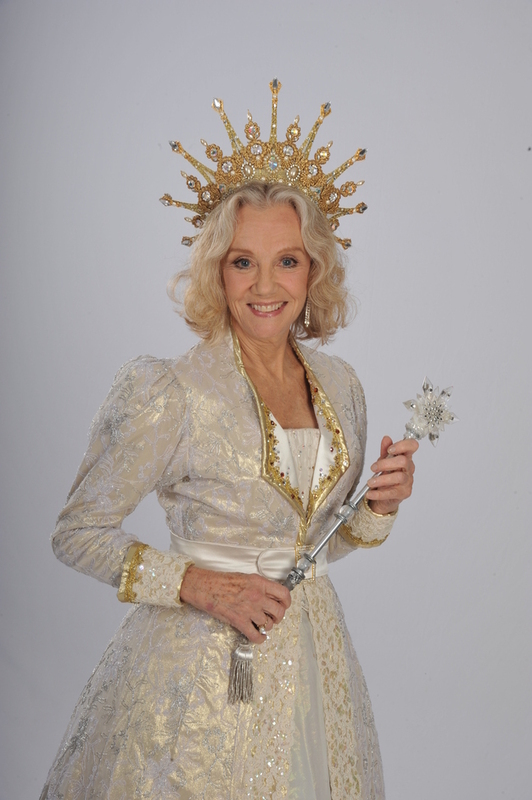 The star-studded line-up for Richmond's production of Cinderella includes Golden Globe and BAFTA award winning British actress Hayley Mills, who makes her panto debut as the Fairy Godmother, with Olivier award winning dame Matthew Kelly as one half of the Ugly Sisters. It's a family affair for Matthew who is joined by his son, actor Matthew Rixon, as the dynamic duo reprise the roles of the Ugly Sisters they played to critical acclaim in Cinderella at Wimbledon last year. Joining this A-list line-up is CBeebies presenter Chris Jarvis (you'll know him from Show Me Me) who is back in the role of Buttons . What are the best dining options near Cinderella, Richmond Theatre London? Cinderella, Richmond Theatre gyms, sporting activities, health & beauty and fitness. The best pubs near London Cinderella, Richmond Theatre. Cinderella, Richmond Theatre clubs, bars, cabaret nights, casinos and interesting nightlife. Where to have your meeting, conference, exhibition, private dining or training course near Cinderella, Richmond Theatre. Tilted Wig Productions presents Sean Aydon's adaptation of the classic novel starring Jonathan Wrather as Lord Henry Wotton and Gavin Fowler as the eponymous anti-hero. Deadpan, black humour and one-liners from the British TV favourite, known for his role as host of 8 Out Of 10 Cats, attempting to make light of dreadful things. The American singing siblings have all their hits performed live. The two Strictly Come Dancing favourites celebrate the history of the movies with dazzling choreography, imaginative sets and a huge multimedia LED screen. Supported by a cast of live singers and dancers. G4's Jonathan Ansell and Britain's Got Talent winner Jai McDowall join forces to perform some of the biggest hit songs from the West End and Broadway. The comedian is joined by guest comedians and musicians to discuss topics all 21st-century feminists agree on while confessing the insecurities, hypocrisies and fears underlying their lofty principles. Wry cultural and political observations and hard-hitting humour from Georgia-born stand-up and panel show regular. A musical mash-up that presents the best material from the original Blues Brothers movies, with songs by Aretha Franklin, James Brown, BB King, Ray Charles, Tina Turner, Cab Calloway and other blues, soul, Motown and funk classics. Daniel Aukin directs the West End transfer of the New York staging of Joshua Harmon's biting comedy about the Head of Admissions at a private school, who faces an uphill struggle to diversify the student intake. Alex Kingston stars as the education trailblazer. The legendary actor celebrates his 80th birthday with a one-man tour-de-force entitled Tolkien, Shakespeare, Others And You, which incorporates a reflection on his life and career, excerpts of his stage and screen performances and audience participation. Directed by Sean Mathias. From cheap budget hotels to luxury 5 star hotels see our special offers for Richmond Theatre hotels, including Hilton London Syon Park from 0% off.